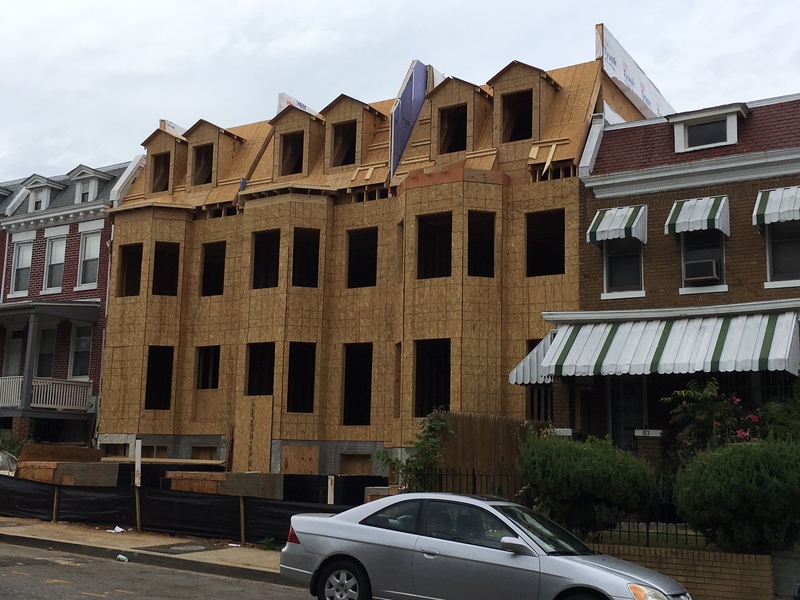 Checking on Progress for Newton Place Houses | Park View, D.C. The new infill houses on the 400 block of Newton Place are coming along, as you can see from the photo below. This entry was posted on October 13, 2017 at 7:01 am and is filed under Development, Housing. You can subscribe via RSS 2.0 feed to this post's comments. looks great; a vast improvement. I’m wondering if it’s bad for all that OSB to sit in the rain.